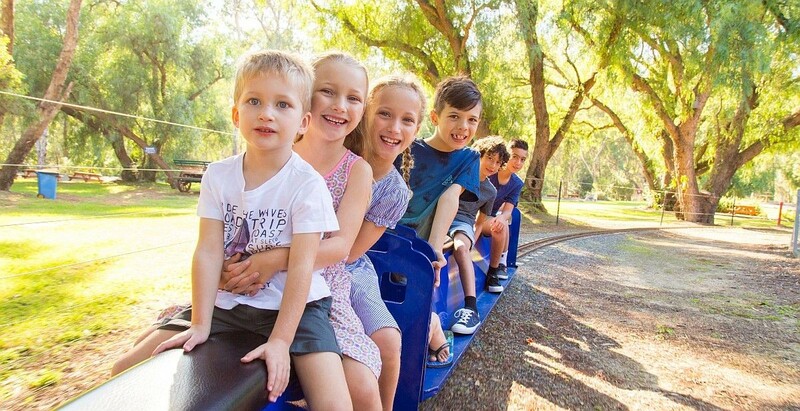 The miniature train rides at SPC KidsTown operate every weekend, public holidays and Victorian school holidays. From the Shepparton Art Museum to SPC KidsTown, there is lots to see and do in Greater Shepparton. Calendar of Events : What's On? Golfers can enjoy some of Australia's best and most challenging provincial courses with facilities second to none. Historical museums, SPC KidsTown, the popular Victoria Park Lake precinct featuring the Aquamoves complex and S-CAPE skate park are all linked via the Yahna Gurtji pathway network. For more information on activities and attractions in the Greater Shepparton region, please contact the Visitor Centre on 03 5832 9330 or 1800 808 839 or visit the Visit Shepparton website. Widely recognised as Australia's best children's playground, KidsTown is a children's adventure playground in a bush setting located between Shepparton and Mooroopna. The playground has facilities for children of all physical abilties, including wheelchair access for some equipment. Giant slides, tree houses, fruit bin maze, dairy maze, monkey bars, miniature train rides, sandpits, fully enclosed toddler area and free BBQ areas. Bookings taken for children's parties. The Dig In Café operates on Fridays from 10.30am to 1.00pm, and from 10.00am to 3.00pm on weekends, Victorian school holidays and public holidays (closed Christmas Day and Boxing Day). KidsTown is open 360 days of the year from dawn to dusk and entry is by gold coin donation. 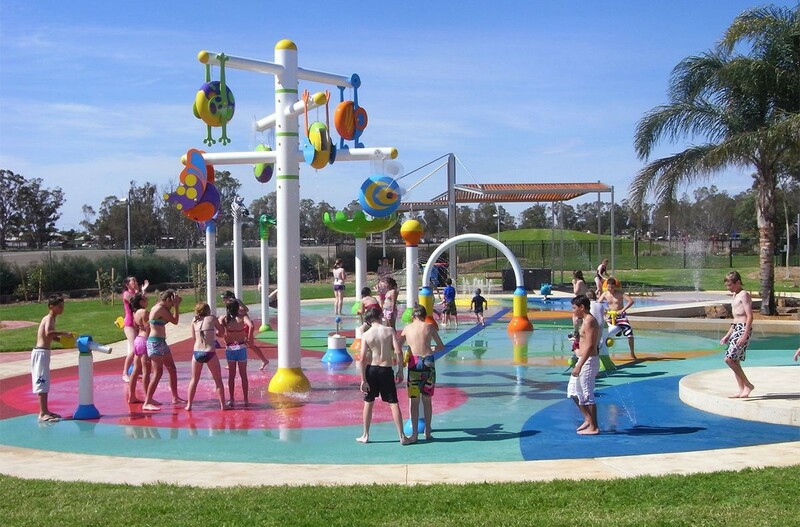 Aquamoves is Greater Shepparton's premier recreational centre, located centrally in Shepparton near Victoria Park Lake and the All Abilities Playground. The indoor pool facilities provide hours of fun with the Rapid River, Water Slide and Tarzan Swing. Other features include a leisure pool, 25 metre pool, hydrotherapy pool and spas and sauna. The centre also boasts an outdoor 50 metre pool and amazing splash park that can be enjoyed by people of all abilities. A spacious gym and more than 80 group fitness classes each week offer a great exercise experience. More information, including hours of operation are available on the Aquamoves website. 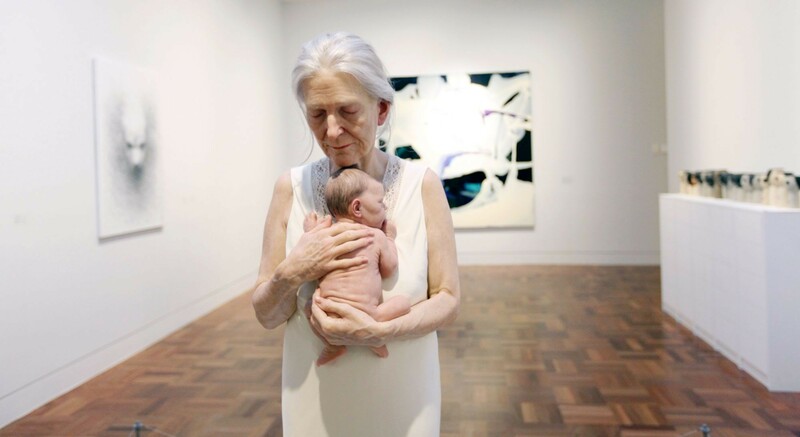 Sam Jinks 'Woman and Child' sculpture in SAM Contemporary Gallery. Affectionately known as SAM, Shepparton Art Museum was voted Victoria's best small Museum by Museum Victoria in 2012, and is home to an impressive collection of Australian historical and contemporary ceramics along with significant holdings of Australian art in all media, including paintings by Boyd, McCubbin and Streeton. SAM has a distinct program of temporary exhibitions and public programs, including artist talks and workshops. SAM also hosts the biennial Sidney Myer Fund Australian Ceramic Award, one of the richest awards of its kind in Australia, presenting the nation's best contemporary ceramics. More information, including hours of operation are available on the SAM website. If you would like to know more about the new SAM project visit our New SAM Major Project website. 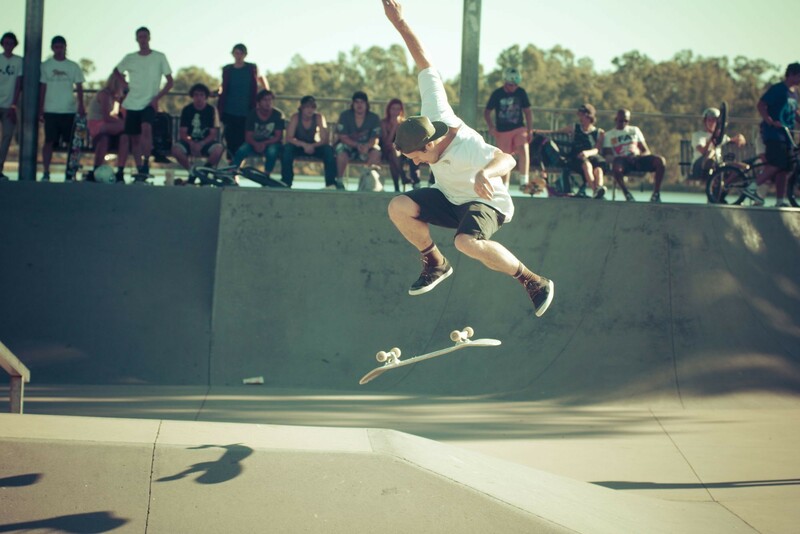 Shepparton's S-CAPE Skate Park has become one of the most popular and well-used facilities for youth in the region. Since it's opening just prior to Christmas in 2001, many hundreds of young people have flocked to try out the challenging and exciting skate park, located on the banks of Victoria Park Lake. The skate park is adjacent to the John Pick playground and large areas of open space where families can relax and enjoy the surroundings, while watching the skaters and bikers in action. The X-abition Skate Park is located at the western end of McLennan Street, Mooroopna, next to Ferrari Park and offers a wide variety of challenges, suitable for BMX, roller blades, skateboards and scooters. For more information about our skate parks, visit the skate parks sections of our website or contact the Council's Leisure Services Department on 03 5832 9776. Greater Shepparton has a depth of history which includes fascinating wartime involvement, rich irrigation history, the famous Murchison Meteorite, priceless Aboriginal artefacts and vintage cars - just some of the historical gems to be discovered in our region. Our rich history from pre settlement through to modern day immigration can be traced through the archives at the priceless heritage centres in Shepparton, including the motor museum, Mooroopna, Tatura, Merrigum and Murchison. 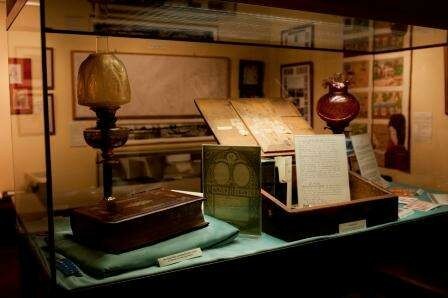 For more information on our wonderful museums visit the Visit Shepparton website or call the Visitor Centre on 03 5832 9330 or 1800 808 839. One of Moooving Art's colourful cows. Moooving Art is a unique and ever changing public art revolution! Scattered across Greater Shepparton's parks, gardens, riverbanks and public spaces are an array of colourful, ever changing fiberglass cows that make up the Moooving Art herd. This exhibition of life-sized 3D fiberglass cows brings a whole new meaning to street art. For more information visit the Moooving Art website for more information. Play Equipment and outdoor parks should inspire anyone to participate in more active play by providing them with fun and interesting environments. There are a number of parks and playgrounds throughout Greater Shepparton. For more information on parks and playgrounds in Greater Shepparton visit the Parks and Playgrounds section of our website.